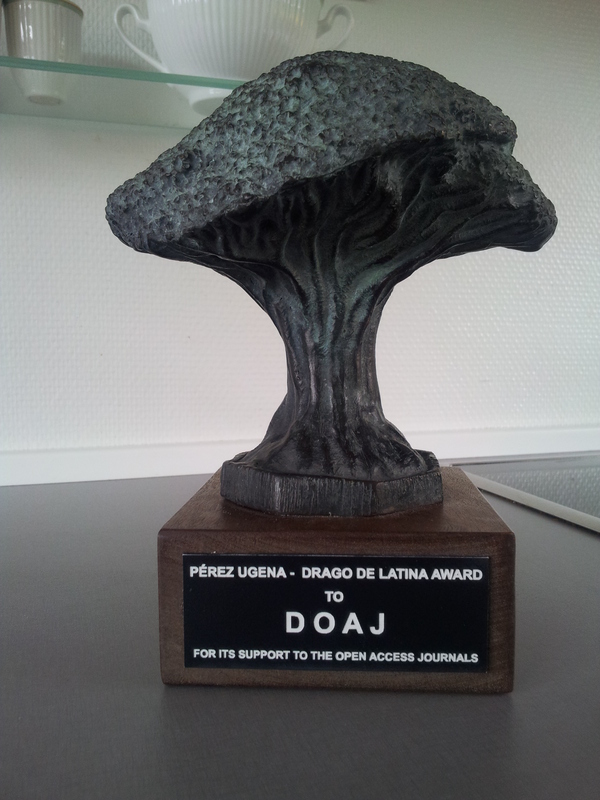 We are absolutely delighted that DOAJ has received the Pérez Ugena Prize for our contribution to Open Access Journals and science and communication. The prize is awarded by the Sociedad Latina de Comunicación Social, a non-profit scientific association that edits the journal Revista Latina de Comunicación Social. Our Managing Director and founder, Lars Bjørnshauge, was invited to attend the 4th Conferencia internacional sobre calidad de revistas de ciencias sociales y humanidades (CRECS 2014) in Madrid, to collect the award in person. You can read his slides on Slidehshare. DOAJ is honoured to be awarded such a prestigious award and we thank the Society for the recognition of our work.